One of the most beautiful things you can see in Barcelona is hidden amongst ordinary buildings in the city’s oldest neighborhood. Walking down a narrow street, appears as if by magic in front of you. 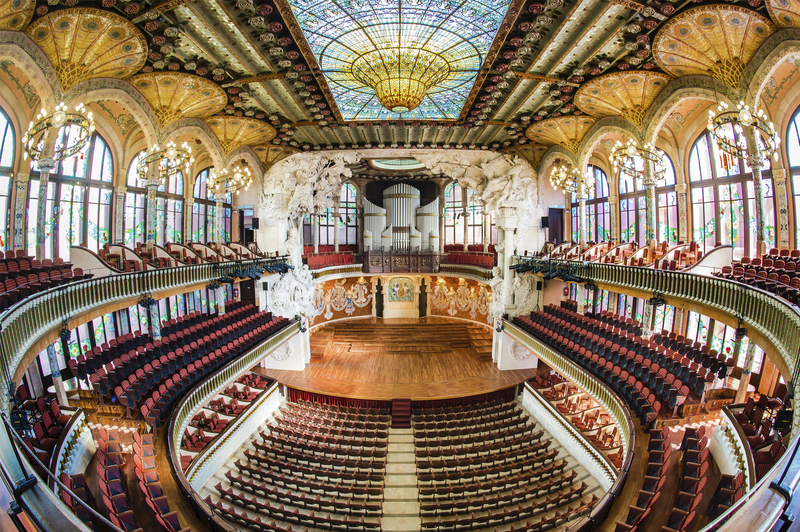 Built more than 100 years ago by Lluís Domènech i Muntaner, the Palau de la Música Catalana (Palace of Catalan Music) is the best way to talk about Catalan modernism without saying “Antoni Gaudí” (argh, I just did!). From our point of view, this place is an obligatory visit if you come to Barcelona. It’s a building full of details; stunning from outside, gently illuminated and luxurious from inside. It’s a palace after all, right? What follows is an instant memory. You open a door and you find a huge space, full of light and color (and music if the timing is right!). Here are a few pictures and a video. Enjoy it! Don’t miss this piece of art in your next visit to Barcelona. Have a great week!